From Dr Martens; perfectly executed in their smooth leather. 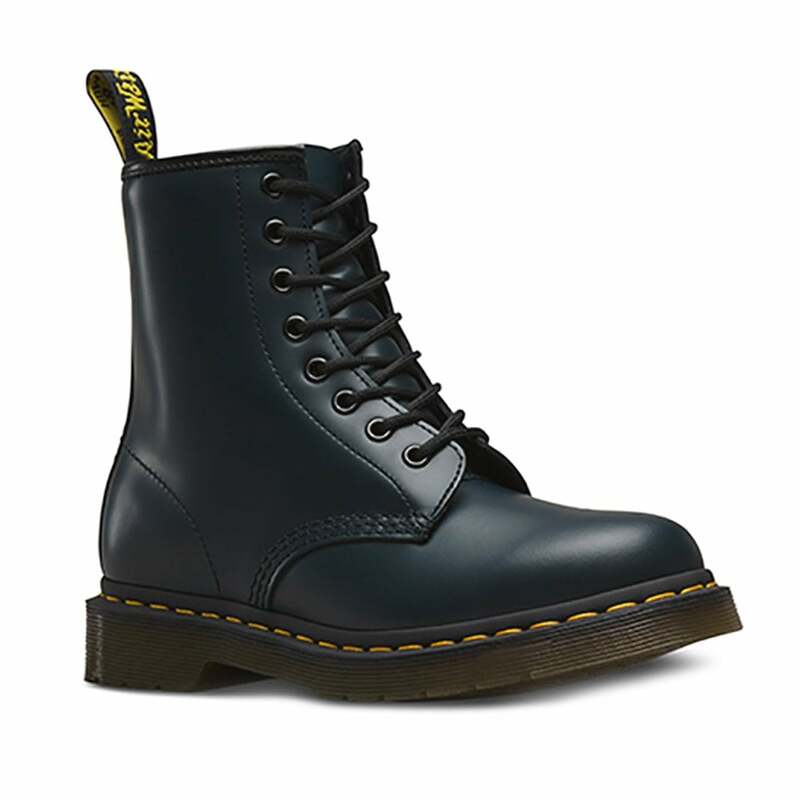 With its uppers made from a navy blue smooth leather, these Dr Martens mens and womens 1460 boots have an iconic look combined with Dr Martens reliability and comfort. An eight-eyelet, black ringed lace-up climbs its way up the front over a soft, flexible tongue, fastened with rounded black laces. Inside, the 1460 boot is leather and textile lined with a padded insole for your comfort, while its original Dr Martens air-cushioned sole is not just Goodyear welted but has Dr Martens iconic yellow Z-welt stitching, which together with a heat-sealing process makes the 1460 eight eyelet boot unique to Dr Martens. The quintessential design of the eight-eyelet leather boot is as popular as ever thanks to its versatility and powerful statement - perfect for the man or woman who is looking for both fashion and function; the Dr Martens 1460 leather boot is both distinctive and stylish, while offering uncompromising comfort.